RT (2019-01-29). Iran fine, North Korea bad, Russians everywhere: US spies tell Senate of world dangers. rt.com US intelligence chief Dan Coats painted a dire picture of a danger-filled world to the Senate, contradicting the Trump administration's optimism on North Korea and pessimism on Iran while beating the drum of Russiagate. RT (2019-01-29). 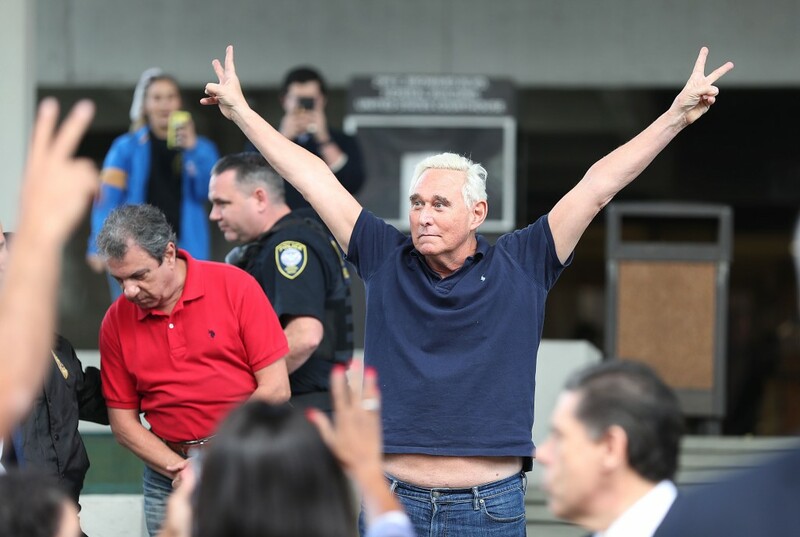 Stone pleads not guilty to obstruction, lying to Congress in Mueller probe. rt.com Roger Stone has entered a not guilty plea in federal court in Washington, DC. The former advisor to US President Donald Trump is facing seven criminal counts as part of US Special Counsel Robert Mueller's Russia investigation. James Risen (2019-01-26). Roger Stone Made His Name as a Dirty Trickster, but the Trump-Russia Cover-Up May Finally Bring Him Down. theintercept.com The latest special counsel indictment highlights Stone's alleged efforts to alert the Trump campaign about hacked Democratic emails obtained by WikiLeaks.